Finding new ways to measure success and productivity levels is always top of mind for call centre executives. It goes without saying that customers expect to have their questions answered and resolved in the fastest manner possible. As a result, call centres are always in search of new methods to measure the success of their agents and ultimately help improve overall productivity levels. Several proven key performance indicators (KPIs) can provide benefits such as real-time dashboard reporting and live monitoring of ongoing calls. KPIs are typically used by businesses as a means of evaluating the overarching success and efficiency of an organisation. Average Call Duration is a common measurement in call centre technology that reflects the average length of a telephone call during customer and agent interaction, which is useful for measuring an agents efficiency. It can either indicate the need for further training or highlight an agent whose process and work habits are highly effective and can be used as a model strategy. Call Quality quantifies the elements of a successful call based on various industry elements including call openings, call closings and asking if further assistance is needed. Additional elements are primarily focused on the employee and include verbiage used with customers. The elements of call quality that are used should always be based on administered customer surveys. CSAT most often reflects customer ratings when asked their feelings on overall satisfaction with the service that they have received. When using CSAT scores, it is important to note that some customers may not want to answer questions, which can bring CSAT scores down significantly and cause some scores to be taken out of context. FCR measures the number of customers who are able to have their problems efficiently resolved on the first call. A high FCR rate typically correlates to an agents high quality of training and customer service effectiveness. Similar to Average Call Duration, a low FCR can signify the need for further training. Resolution time measures the amount of time it takes for an agent to successfully come to a solution for a customers issue. Resolution time is typically measured in hours and/or days and is frequently tied to customer satisfaction because a low-resolution time reveals that agents are making proper solutions and communicating those solutions to customers in a clear and concise manner. 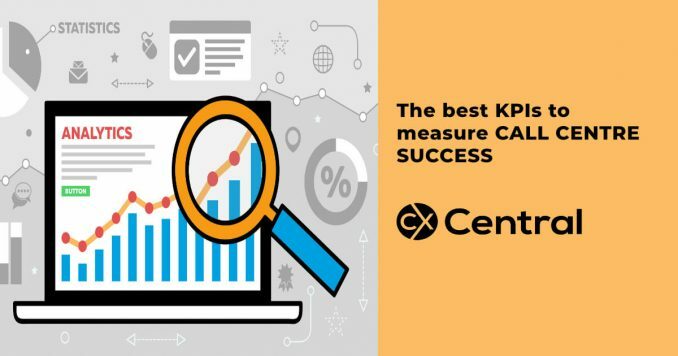 KPIs are an integral component of measuring and maintaining success in a call centre. These insightful metrics make it easier for call centre executives and managers to evaluate and assess productivity for a more efficiently run organisation.